Parties which favour an overhaul of Lower Saxony’s relationship with Volkswagen may win a snap election. Ideally, the German state would sell its 20 pct stake. Yet waiving its privileged status, and dealing with the carmaker at arm’s length, would already be a big improvement. Christian Democrat politicians in Lower Saxony, which owns 20 percent of the voting stock in carmaker Volkswagen, are calling for reform of the German state government’s influence over the Wolfsburg-based company. "Lower Saxony's share in Volkswagen is not managed professionally enough," Bernd Althusmann, head of the Christian Democrats in the state, told German newspaper Die Welt in an interview published on Aug. 8. Althusmann called for the creation of a new state office to manage the government’s stake in VW, and said one of two seats reserved for the state on the company’s supervisory board should be held by a business expert, not a politician. The state premier should still sit on the supervisory board, he said. Lower Saxony will hold snap elections on Oct. 15 after the ruling coalition between the Social Democrats (SPD) and the Green party lost its one-seat majority after a Green party member defected to the Christian Democrats on Aug. 4. Opinion polls suggest the Christian Democrats can become the state’s biggest party and may be able to form a coalition with the free-market liberals, the FDP. Lower Saxony Prime Minister Stephan Weil, an SPD member, in October 2015 allowed VW to review the draft of a speech he was later giving to the regional parliament about the carmaker’s emissions-rigging scandal, Bild am Sonntag reported on Aug. 6. 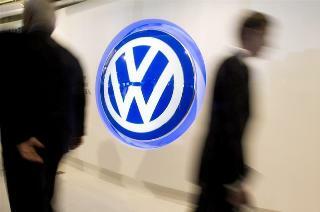 The newspaper cited a VW employee who said Weil softened the speech at the company's request. Weil, who sits on VW’s supervisory board, denied that he watered down the speech but defended his decision to allow the company to review it, citing the sensitivity of discussions at the time with U.S. authorities about emissions rigging.